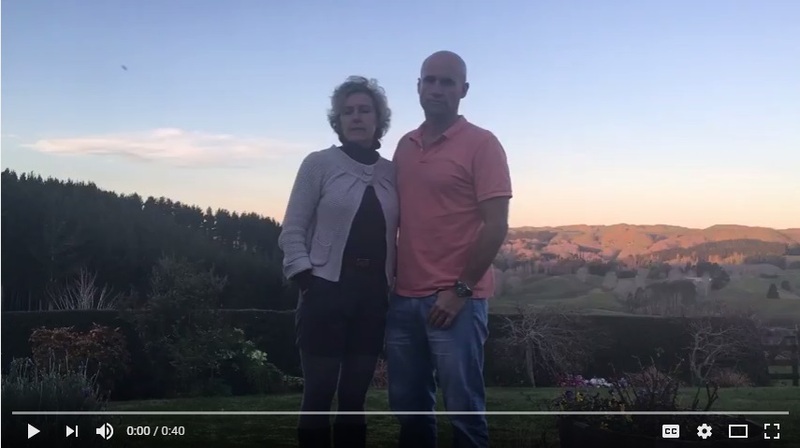 Read some of our client testimonials and see why prospective immigrants to New Zealand consider Intergate Emigration their migration company of choice. With a philosophy of service first and a focus on our client's needs there is no one better than Intergate Emigration to assist you with your immigration to New Zealand. The Hanekom Family - Thank you so very much Maike and Intergate for our new life in New Zealand! Seb - I will have no problem with recommending you wherever I go. Jean-Pierre - Sarah is the best thing since sliced bread! Sarah is the best thing since sliced bread! She helped us with our visa\residency for New Zealand and was always friendly and helpful. She is very detail focused, kept us informed at all times and was willing to answer my many questions patiently. Dear Sarah & Robyn, I just would like to thank you for all your assistance and support with the process of getting our visas approved. I recommend your work to anyone with great praise and respect. Without your assistance Lizanne and I would have been stranded and would not have known where to start. You are the most enthusiastic and driven team I have came across in a long time with your passion, dedication and the willingness to assist where possible. My wife and I cannot thank you enough. Yvette - there's no one better than Sarah. When we started the whole process we contacted numerous agencies. In our meeting with Sarah a sense of peace and comfort came over us and we knew there's no one better than Sarah. Her attention to detail and passion helped us get our visas in no time. Thank you for helping us reach our dream. If you are thinking of looking to work or live in New Zealand, i recommend Sarah as being the best person you could use to achieve that. She is super efficient, follows up and keeps you updated on the progress. She made my experience an absolute pleasurable experience in very tight timelines. You wont be disappointed. Gary - I am in disbelief. Sharon - thorough, professional and diligent. Dear Maike, I would like to say a BIG Thank You for all your help in obtaining visas for Tyler and Daniel. I would never have coped with the complications of the process. You were at all times thorough, professional and diligent. Have a wonderful day! I would just like to formally say thank you so much for all the excellent advice offered to me with regards to David’s work Visa. As you are aware we had employed the services of another agent who was not very helpful. You were so professional in your approach in that you refused to enter into a working agreement with me until I had formally cancelled my agreement with the other agent. This was excellent advice as it would have been very unethical to use both agents together. Your positive attitude gave me hope when I really thought that my son David would not be granted a visa to play rugby at amateur level for a whole season. All the advice that you offered was very sound and simple and you responded to my queries within minutes via email or telephonically so it made the whole process very straight forward. The staff in your office are very polite, helpful and professional. It was a good idea to make me submit everything once I had all the information instead of in dribs and drabs and also you filtering the information I had provided - such as not giving invitations to stay when David had accommodation organised on his contract – this would have confused the application – your experience in this regard is invaluable. We have recommended you and passed on your details on to Hilton Travel as well as a rugby agent in New Zealand as he has had no success with other agents in this regard. Thank you once again and I am sure we will be in contact again hopefully soon so that we can all go to New Zealand ! Jan and Georgina - impressed and satisfied with your service. Wow! That is very unexpected and great news! That went amazingly quickly! Thank you for working with us, we are very impressed and satisfied with your service. We appreciate the professional work. We wish you all the best. If you need anything else from us, don't hesitate to get in touch. Heleen Pretorius - May God bless you in everyway!! Katrin that is the BEST NEWS IN THE WORLD!!!!!!!! Thank you so so much for everything, you guys have done. You have been such a big help and support in the whole emotional rollercoaster!!!! May God bless you in everyway!! Duheine - Went the extra mile! "I felt that Sarah went the extra mile with our visa application. She made us feel relaxed and had everything under control. Sarah is well connected and assisted us even when we thought we failed in our application. She is a good communicator and made us feel at ease during the entire process as she explained everything in detail and were even available to assist with uncertainties during her leave. I can definitely recommend Sarah as an immigration adviser, we would not have been successful in our application if it wasn't for her skills and prompt actions. " The Unger Family - You really do have a gem in Sarah! Dear Stewart After our prior conversation this is just too formally acknowledge and appreciate the professional and proficient way in which Sarah Hewitt conducted business with our family. Despite being on leave and with her family she went beyond the call of duty to help our family obtain our visas quickly. I really thank her for all her time and efforts and look forward to working with her in order to obtain our residency. You really do have a gem in Sarah. Helen - Thank you for your assistance! Vicky Wolmarans - Worth your weight in gold! Hollee - World class competency and professionalism! Shannon Le Roux - Intergate won my heart! Henry Mazimbe - Sincere thanks!